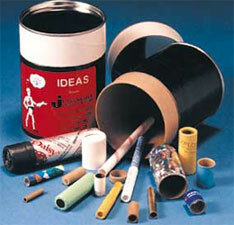 Fill out the form to receive your Free Paper Tube Idea Kit or their latest literature! The free Jonesville Paper Tube Idea Kit is filled with samples and concepts that might inspire some great ideas of your own. Note: This kit contains samples of various paper tubes. It is not appropriate or intended for consumer use. Contents include small parts which are not suitable for children. Idea Kits are only shipped to businesses within the United States. Requests for quotes originating outside the United States will be processed via e-mail.